Rumi was a 13th-century Persian Muslim poet, jurist, theologian, and Sufi mystic who leaves us profound wisdom for experiencing an extraordinary quality of life that transcends common logic and rational if applied and adhered to. Aside from the many labels we're assigned as we navigate the tangible path, Rumi quotes make it quite obvious and apparent to me, based on my own experiences that Rumi touched a place that ALL have the ability to, yet which few ever choose. Rumi Quotes, unlike other content on Abundance-and-Happiness.com is NOT strictly prohibited but rather encouraged to be copied, reproduced and spread globally in any form, in whole or in part, electronically or otherwise and requires no written consent from the author and or Enlightened Journey Enterprises. 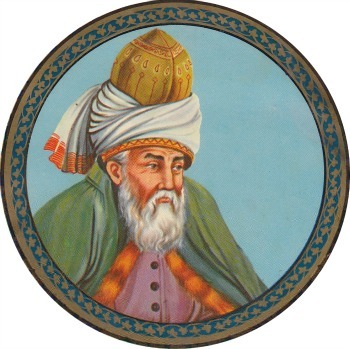 Any resources recommended in the Rumi Quotes and throughout Abundance-and-Happiness.com have been personally tested and approved by the founder as a credible and effective means of accomplishing it's intended purpose. Any and all guarantees are handled through the company that provides the resource.